Seeing your life flash before your eyes may be a cliché, but it points up an underlying truth. It is not just how you die that counts, but how you have lived your life. That is true for packaging too. In assessing the ecological impact of packaging, there is a widespread tendency to look solely at “end of life”—what happens to it once it is emptied. Reuse or recycling are the two most acceptable endings from an ecological standpoint. Unfortunately, that can lead to a belief that if a packaging material is not routinely reused or recycled, it must therefore be ecologically harmful. That is a mistake, says Kim Holmes, vice president of sustainability for the Plastics Industry Association. “End-of-life is a very important piece of all of this for our industry, especially because it's the piece that I think consumers pay most attention to,” Holmes told Plastics News. “But if you look at the lifecycle impact of our products in our industry, there are many other areas where we can create huge environmental benefits that can be greater than just the end-of-life piece.” That is part of the reason Holmes’ title was changed from senior director for recycling and diversion; the association wanted to move the focus away from recycling. The principle of looking at the totality of life, not just the end, of packaging materials extends to bag-in-box and flexible intermediate bulk containers (FIBCs), which are increasingly used to deliver liquid, powered, and bulk-solid ingredients to food processing plants. FIBCs and bag-in-box usually can be evacuated more completely than rigid containers, especially with viscous ingredients. This has the advantage of not wasting the feed, water, or other resources that were used to produce the residual product. They also are lighter and easier to transport, saving fuel. 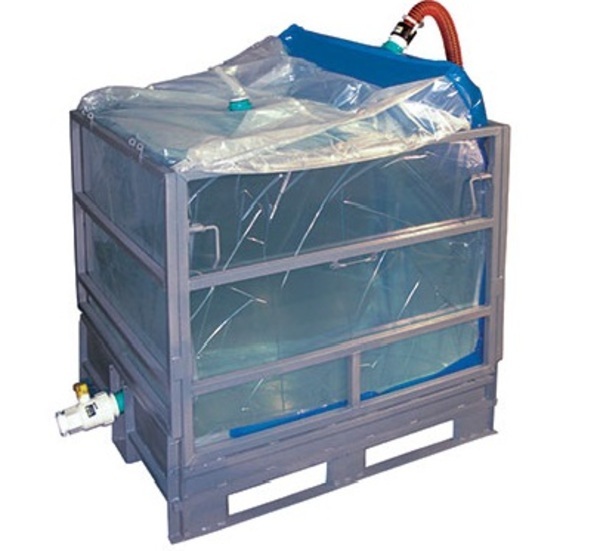 With bag-in-box, there is no return trip; with FIBCs, only the collapsible metal frames are returned, which is much more fuel-efficient than returning empty tanks. Even at the end of their lives, flexible bulk containers have untapped “green” potential. Most flexible film gets landfilled, not because it is inherently unrecyclable, but because segregating it by polymer and delivering it to facilities that can handle it is too hard for most recycling systems. However, industrial customers like food plants can exercise much greater control over their recycling chain than any household collection service, putting together homogenous loads that could easily be recycled. In addition, potential exists for plastics suppliers to build biodegradability into their products, says Mark McClure, vice president of operations at International Plastics. Reuse and recycling get most of the attention in assessing the ecological impact of packaging. However, it is just as important to take into account all aspects of a packaging material's life, not just the end. Want to learn more about environmentally-friendly packaging choices? Contact us for a free sample and download our Air-Assist brochure.